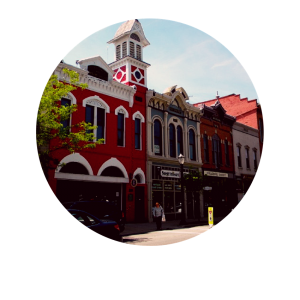 Medina Ohio Homes for Sale – A phenomenal city to call home, Medina Ohio gives a country feel yet is close to shopping, entertainment and major highways. If you enjoy nature, Medina offers some of the most beautiful parks perfect for escaping from the hustle and bustle of city living. Search for Medina Ohio homes for sale and be prepared to find your peaceful retreat! Located about 25 minutes south of Downtown Cleveland, Medina is one of the highest ranked communities amongst Northeast Ohio residents. Medina Ohio offers home buyers a wide range of housing options to align with every taste and budget. Whether you’re looking for new build or resale, single-family or cluster home, condos or Town Home, Medina has your dream home waiting! Medina Ohio offers a tremendous amount of home developments to choose from. From starter homes to high end luxury estates, Medina has the right home for you. New construction options are available from both national builders and local custom builders! The majority of homes found in Medina are located in newer home developments. However, Medina is known for its historic homes, wooded lot opportunities and golf courses. 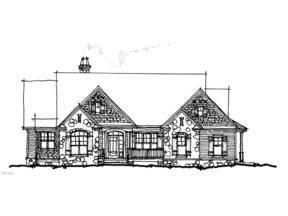 Some of the most known developments include Blue Heron, Cobblestone Park, Dover Highlands, Emerald Lakes, Fox Meadow, Lexington Ridge, Mulberry Row, Shale Creek and Turnberry to name a few! Ridge Top Golf Course is one a popular hot spot for the golfer of any level. The course is walkable for those looking to get exercise in, or you can rent a golf cart and drive the course at your leisure. Shale Creek Golf Course, located right off I-71, is a popular golf field for those traveling in from the Akron or Cleveland area! Rated number 6 by Golf Cleveland, golfers are sure to have a great time in the scenic Medina Ohio outdoors! Medina Ohio also has a unique downtown with antique shops, locally owned restaurants and businesses plus exciting activities year round. If you have the eye for the finer things in life, check out how many boutique shops are located in downtown Medina by visiting here! Medina Square is a gorgeous and historic part of downtown Medina. Residents are sure to boast about how beautiful this area is, especially during the Christmas holidays when the square is lit from head to toe in lights! If you are considering a retreat with scenic views and plenty of outdoor recreational activities available, Medina Ohio should be on your tour list! Search below for Medina Ohio Homes for Sale. Contact our Sales Team for more information on Medina Ohio Homes for Sale.